Join us for a Low-Country Seafood Boil!! 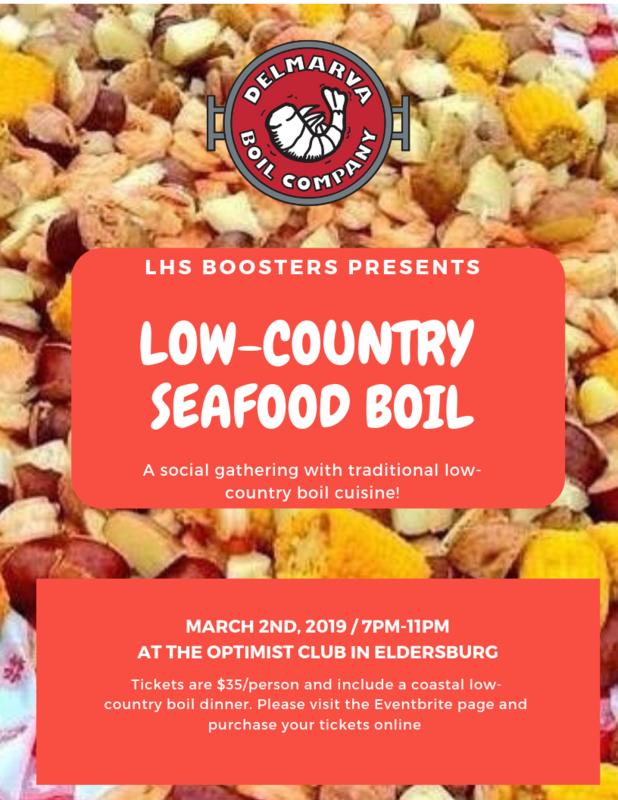 Join the LHS Athletic Boosters for a Low-Country Seafood Boil on Saturday, March 2, at the Optimist Club in Eldersburg (near Pizza Hut). Tickets are $35 per person and include food and non-alcoholic beverages. Good food, good dancing, good company, good cause … and lots of fun! The event will be catered by Delmarva Boil Company, a seafood catering business owned by two Liberty High School alumni. See the flyer below for details and click here to purchase tickets.